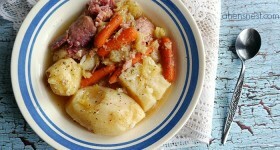 One of the best things about Christmas are the traditions we have, both big and small. A simple one that we look forward to each year is watching The Original Christmas Classics, those stories that we’ve all loved and grown up with. The plump snowman narrator of Rudolph The Red-Nosed Reindeer with the Burl Ives voice is as much a part of the holiday season to me as Rudolph’s red nose and Santa’s white beard. I do hate trying to remember what day each of my favorite classic Christmas movies is going to air on television though, last year I missed a few of them :( Of course, you can purchase DVD’s of your favorites but did you know that this year you can also buy Frosty, Hermey and the likeable Yukon Cornelius on Blu-Ray for the first time. Share the magic of the season with your loved ones and enjoy these classics together. The digitally remastered movies featured in this special collection are Rudolph the Red-Nosed Reindeer, Santa Claus is Comin’ To Town (Fred Astaire’s voice is heartwarming! ), Frosty The Snowman (remember the songs with Jimmy Durante! ), and Frosty Returns. The collection includes a special Bonus Holiday CD that features “A Holly Jolly Christmas” and “Rudolph The Red-Nosed Reindeer” sung by Burl Ives along with other favorites. I have so many memories of watching these shows as a little girl, laying on the floor in front of the TV in my jammies and laughing. Memories too of watching with our children, of being cuddled together on a snowy night singing along to all of our favorite Christmas songs. Abominable Snow Monster “Bumble” was always one of my favorites! I love the stop motion animation that takes em back to my childhood. What wonderful moments to remember! 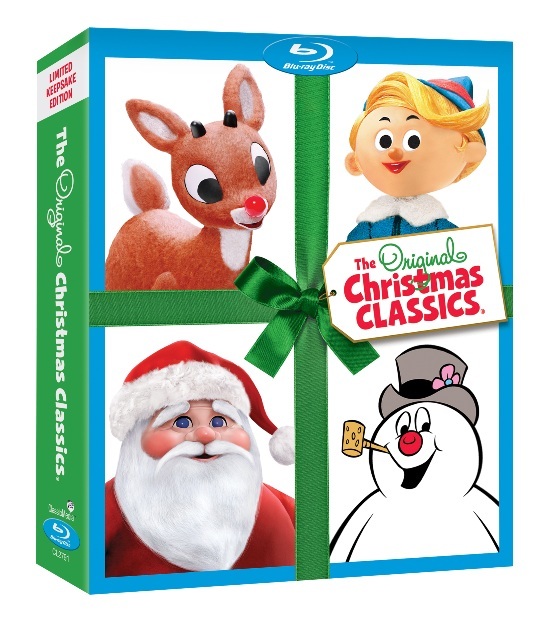 The Original Christmas Classics Blu-Ray DVD collection would be perfect for both young and old friends and family on your list. 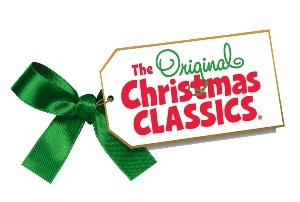 You can purchase The Original Christmas Classics Boxset at www.christmasclassics.tv, amazon.com (currently $29.49) , and other online and offline retailers this holiday season. Thanks to Classic Media TWO readers will win their very own Blu-Ray boxset of The Original Christmas Classics! Relive your childhood with four holiday favorites: Rudolph the Red-Nosed Reindeer, Santa Claus is Comin’ to Town, Frosty the Snowman, and Frosty Returns. Visit ChristmasClassics.tv and browse around, then come back here and tell me what one of your favorite Classic Christmas movies or characters are! Easy! Rules: Follow the directions above! Giveaway open to United States & Canada, 18+ only and ends December 12th, 11:59 est. Winner must reply to email within 48 hours or I will redraw. Thanks to Classic Media for offering a wonderful giveaway for my readers. All opinions and experiences are my own, your opinion may vary. No compensation was received for this post. Amazon affiliate link included. Questions? View my Disclosure. I loved their movie the year without a santa claus! The little drummer boy is one of my favorites. I like Rudolph the Red-Nosed Reindeer and the characters on the Island of Misfit Toys in the movie. I also like Burl Ives’ singing Have a Holly Jolly Christmas in the movie. I subscribe by email to A Hen’s Nest. My favorite Christmas Classic Movie is still Frosty the Snowman. Frosty is my favorite classic and actually, I love the little rabbit the best. My most definite character is Cindy Lou Who..Love her. My daughter looked like her when she was small. Soooo cute. I like that there site is easy to navigate, and that you can look at the main characters separate form their movies. My favorite movie and character though are Rudolph. i follow you, and tweeted! Frosty the Snowman is my favorite. I love the little drummer boy! I love Clarice from Rudolph! Next Post: Aurora YooHoo & Friends are an affordable and adorable Stocking Stuffer!